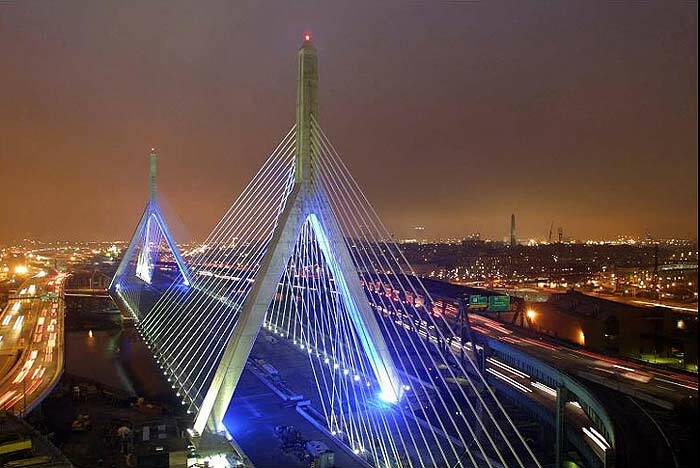 Travelers crossing the Zakim this weekend may want to keep an eye out for the helicopter scheduled to land on the bridge between 3PM and 5PM this Sunday. Now if your wondering why the hell a helicopter is descending onto one of Boston’s most crucial capillaries of commuting, it all has to do with Tom Cruise. See, he’s in town filming this romantic comedy where he plays a double agent that lives a “double” life trying to save the world and win the heart of Cameron Diaz all at once. Somewhere along the line a helicopter lands on a bridge. According to the Globe, an 18-Wheeler was originally going to be overturned on the bridge, but now with just the copter to deal with, you can anticipate general road blocks and lane closures. Anyway, at 3 PM you’ll probably just be mulling over however the Sox game unfolds.